Get great value for your money by booking your Harmonyland admission through Klook! nice wonderland for kids and is free for those under 4 years old. Hurry and get your discounted tickets for one of the most popular theme parks in Japan. Book with Klook and gain access to Harmonyland in Kyushu with almost 30% savings compared to purchasing at the door! 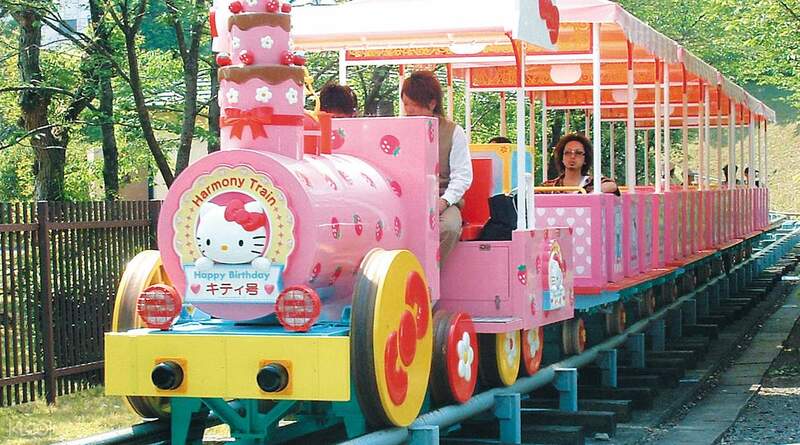 Harmonyland is a huge Sanrio theme park with rides featuring Hello Kitty and crew. There are several restaurants and souvenir shops to satisfy that princess inside everyone. Rest assure that this one day pass is your most convenient and cost friendly way to get up close and personal with your favorite Sanrio characters. 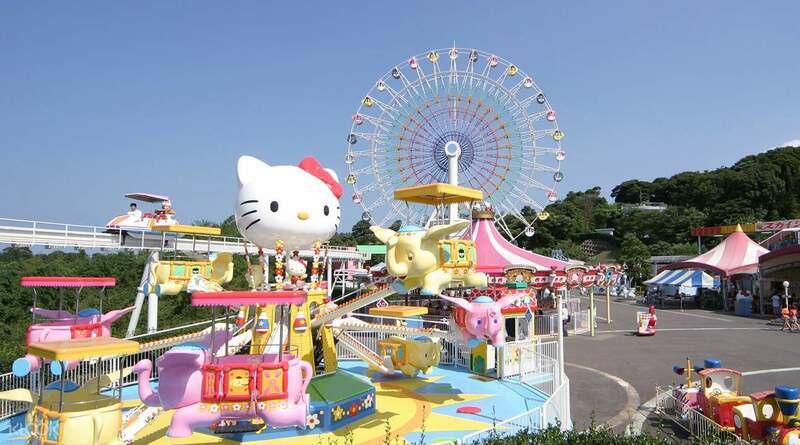 Have fun in this theme park with the Sanrio characters! 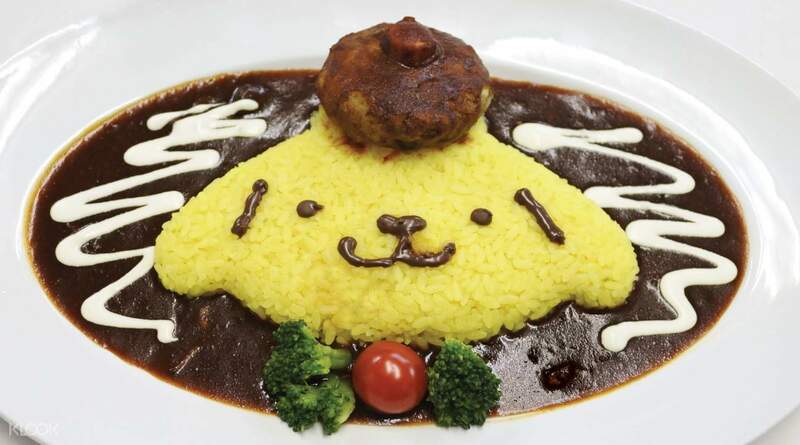 Dine on delicious themed foods including dishes inspired by the famous lazy Gudetama character! This was a very cute place! 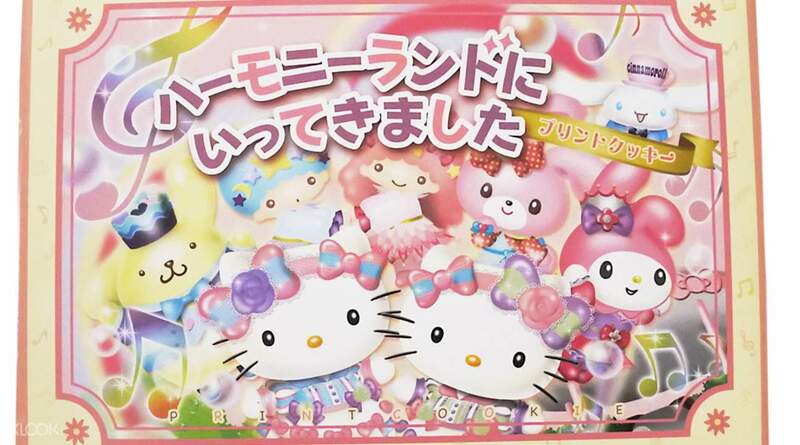 Everywhere you look there are images of Hello Kitty and all the cute Sanrio characters. From Hakata, you can take a JR Train to Kitsuki, and just outside the station is a bus going yo Harmonyland, you can actually here the driver calling oit Harmonyland or Kitty. You can also take this bus back to the station, costs about 270¥ i think. The whole theme park isnt very big like Universal studios or Disneyland but it's perfect for families with young children. The lines to the rides arent very long so it offers a much more relaxed experience compared to other theme parks. There are lots of shops and restaurants inside as well as free water fountains. Watch out for the parade or main show around noon so you can catch all of the main Sanrio characters like Hello Kitty, Cinnamorol, Twin Stars, Pompompurin, etc dancing and interacting with kids. This was a very cute place! Everywhere you look there are images of Hello Kitty and all the cute Sanrio characters. From Hakata, you can take a JR Train to Kitsuki, and just outside the station is a bus going yo Harmonyland, you can actually here the driver calling oit Harmonyland or Kitty. You can also take this bus back to the station, costs about 270¥ i think. The whole theme park isnt very big like Universal studios or Disneyland but it's perfect for families with young children. The lines to the rides arent very long so it offers a much more relaxed experience compared to other theme parks. There are lots of shops and restaurants inside as well as free water fountains. Watch out for the parade or main show around noon so you can catch all of the main Sanrio characters like Hello Kitty, Cinnamorol, Twin Stars, Pompompurin, etc dancing and interacting with kids. Super easy to buy ticket via klook. Went on Monday and we didn't really have to queue for rides. Girl had great fun! Super easy to buy ticket via klook. Went on Monday and we didn't really have to queue for rides. Girl had great fun! Going to Harmonyland is like travelling to your sweetest dream. Although the location is farther from other attractions in Japan and less popular among tourists, but it offers a different kind of experience. The highest point of Sanrio ferris wheel provides breathtaking view. It’s sad to see rusty and dirty rides but i still enjoyed myself there! The Hello Kitty mini roller coaster seemed average but the ride was fast! Self-drive monorail is interesting though it’s old & noisy. However, Harmonyland is selling different types of Hello Kitty headbands from Puroland. The area is clean & staff are friendly too. Going to Harmonyland is like travelling to your sweetest dream. Although the location is farther from other attractions in Japan and less popular among tourists, but it offers a different kind of experience. The highest point of Sanrio ferris wheel provides breathtaking view. It’s sad to see rusty and dirty rides but i still enjoyed myself there! The Hello Kitty mini roller coaster seemed average but the ride was fast! Self-drive monorail is interesting though it’s old & noisy. However, Harmonyland is selling different types of Hello Kitty headbands from Puroland. The area is clean & staff are friendly too. by using this coupon, you can enter the amusement park by paying less money. by using this coupon, you can enter the amusement park by paying less money. This park is very cute and had a great show. Even though the park was quiet (winter) the cast gave 100% and everyone left smiling. As you grow accustomed to in Japan all the staff went above and beyond and were super friendly. This park is very cute and had a great show. Even though the park was quiet (winter) the cast gave 100% and everyone left smiling. As you grow accustomed to in Japan all the staff went above and beyond and were super friendly. Really a great place to enjoy and see cute sanrio characters if you are a big fan of them! The ride for the theme parks are more catered towards children so don’t expect the rides to be thrilling and crazy like USS? But nonetheless it is a wonderful theme park filled with cuteness! 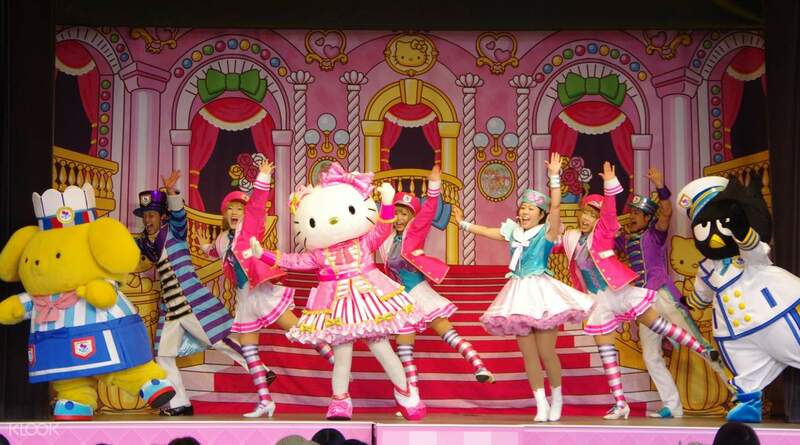 Really a great place to enjoy and see cute sanrio characters if you are a big fan of them! The ride for the theme parks are more catered towards children so don’t expect the rides to be thrilling and crazy like USS? But nonetheless it is a wonderful theme park filled with cuteness! Such a great deal. Just show your voucher at the ticket counter and exchange it for a day pass and that grants you access to unlimited rides already for a day. Great savings from Klook on this activity. Such a great deal. Just show your voucher at the ticket counter and exchange it for a day pass and that grants you access to unlimited rides already for a day. Great savings from Klook on this activity. It was my first purchase with Klook and it was perfect. We got the tickets easily with the QR code without queuing up. And the cost is much cheaper than the front door (even with the discount of foreign passport holder)! I will definitely recommend others to buy any travel products with Klook! It was my first purchase with Klook and it was perfect. We got the tickets easily with the QR code without queuing up. And the cost is much cheaper than the front door (even with the discount of foreign passport holder)! I will definitely recommend others to buy any travel products with Klook! Tickets from Klook is cheaper compared than getting it at the door... Just need to scan the email inside phone and they will provide you with the physical tix to get in... Easy!! Tickets from Klook is cheaper compared than getting it at the door... Just need to scan the email inside phone and they will provide you with the physical tix to get in... Easy! !